George Benson (guitar); Michael O'Neill (vocals, guitar); David Garfield, Randy Waldman, Thom Hall (keyboards); Stanley Banks (bass); Khari Parker (drums); Lilliana de los Reyes (vocals, percussion). 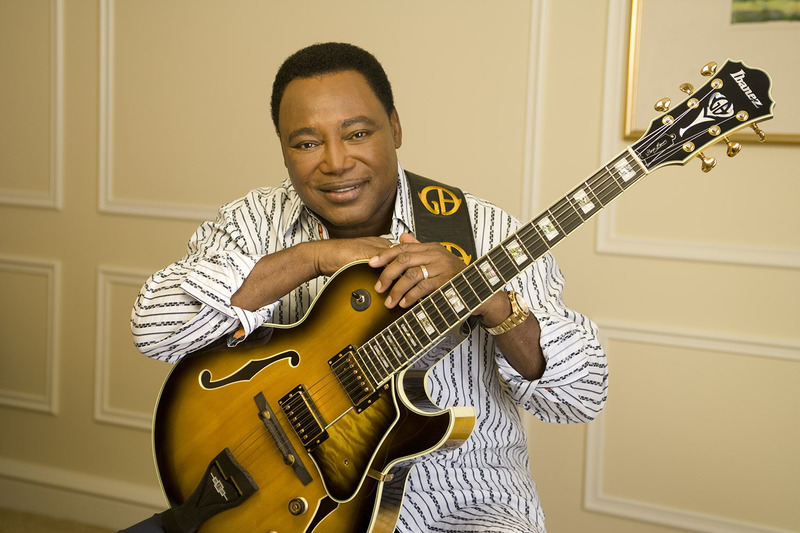 For over fifty years George Benson has played a double role with verve: a musician of towering stature and a pure entertainer. None other than Wes Montgomery was one of the first to recognize his talents. Benson started his career as a jazz guitarist in the style of hot jazz idols Charlie Christian and Django Reinhardt. He has continued to develop since those days. In the sixties, Benson had a pop band; in 1976 he released Breezin’, the first jazz album ever to go platinum. It was also the first album on which Benson himself did any singing. Jazz purists had trouble with the album, but for Benson it was a success. The track This Masquerade became a huge hit. Today, Benson is an international star with many hits and ten Grammy Awards to his name. But he has never forgotten his jazz roots: these days Benson is often spotted in New York jazz clubs where he plays with younger musicians like Joshua Redman and Roy Hargrove.